Need a trustworthy auto electrical repair shop in Petaluma that can quickly diagnose any issues with your automobile’s electrical system? Come to Northbay Automotive in Petaluma. Specializing in both Domestic and Asian automobile makes and models, we service the electrical systems for auto makes like Ford, General Motor, Jeep, Honda, Nissan, Subaru, Toyota, and the fast growing Volvo products. Northbay Automotive is the dealership alternative for all things auto electrical. 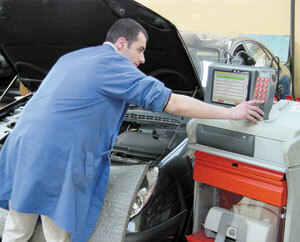 To schedule an appointment to diagnose or repair your auto electrical system, send us an email at [email protected]. Northbay Automotive is conveniently located at 929 Petaluma Blvd. South, Petaluma, CA 94952. Click on our map if you require driving directions. We look forward to seeing you soon!